Computer servers have become a quintessential part of modern life. They store immense amounts of information and data on behalf of businesses and individuals and their security and storage have become paramount concerns for those tasked with protection. Whether it’s a couple of servers directing communications within a single office complex or an entire warehouse of servers managing file storage for an entire region of the world, a controlled protection plan is always necessary to maintain absolute confidence in the integrity and safety of the stored information. All too often though, we focus a lot on the type of software-side network security that we see splashed across the headlines of the daily news. Cybersecurity and information technology security in general are seen as being vulnerable only from within the micro-filamented world of hackers and online troublemakers. 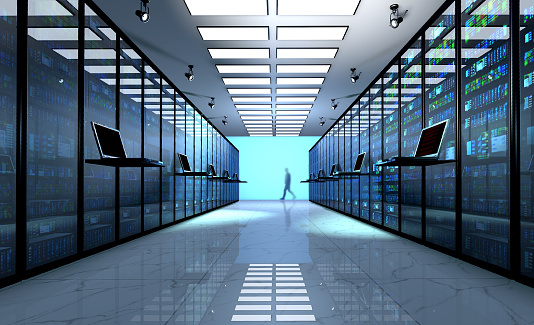 More often than not though, some of the most significant areas of exposure in server storage facilities are the most obvious, the physical security of the facility including something a fundamental as its doors. 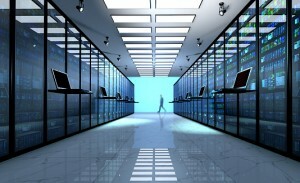 It might sound too obvious but the first and most important line of defense in server storage are the physical doors leading to any Data Center space. It is generally accepted that servers are best stored in separate rooms or facilities to ensure that only a specific set of people have access to them. This is done in order to prevent the theft of a server computer or worst, access to that computer from an inexperienced albeit well-intentioned member of your own staff.. A properly designed data center security environment will include multiple several layers of security. Access control systems electronically grant or deny access based on individualized key card readers or various biometrics. However, once access has been granted what is being done to automatically reset the control system and prevent another party from tailgating into the facility? The answer is simple, door that close automatically after they have been opened by an authorized person. Door Closing Systems has developed an automatic sliding door closer that can be fitted to any sliding data center or cage door for consistent and efficient closing, time and time again. This system is probably the least expensive item in the entire data center, yet it provides complete protection for the whole environment! In this age of the Internet, it is important to be up-to-date on the latest and greatest in cybersecurity measures to protect the information of your company or clients. That does not mean though that you can overlook the simple stuff, the basic physical protection that provides a platform for all other security measures to succeed from.